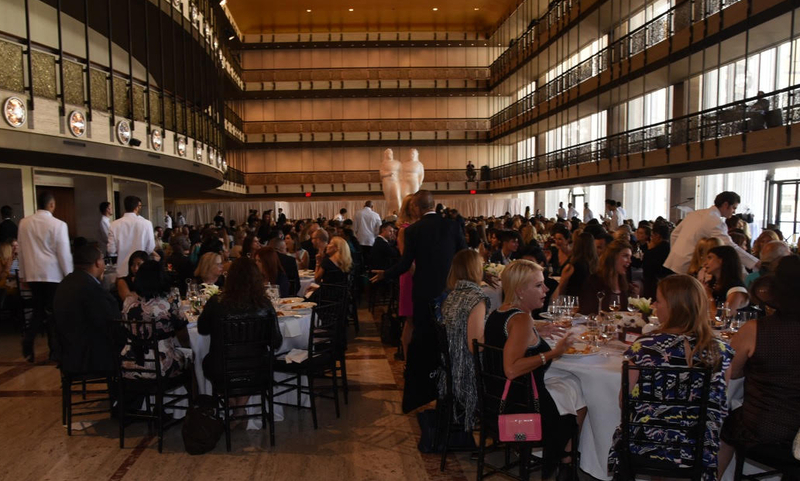 The Couture Council of the Museum at FIT held its annual award ceremony and benefit luncheon at the David H. Koch Theater at Lincoln Center on Wednesday September 5, 2018 with cocktails beginning at 11:30 AM. The Couture Council was created in 2004 as a membership group dedicated to supporting the Museum at FIT. The Couture Council helps the Museum at FIT mount world class fashion exhibitions, organize public fashion symposiums and acquire important objects for its permanent collections. This year’s Council Award for Artistry of Fashion was presented to Narciso Rodriguez who had the more than 500 ladies giddy with excitement. This illustrious honor has been given in the past to such luminaries as Karl Lagerfeld, Valentino, Oscar de la Renta, Ralph Rucci, and Thom Browne. Narciso who is shy and unassuming seemed overwhelmed by the attention lavished on him this afternoon by the throng of beauties. Rodriguez is an American designer who was born in New Jersey and attended the Parsons School of Design. The seminal moment of his career occurred on September 21, 1996 when Carolyn Bessette unveiled her wedding dress to the world by this heretofore unknown designer. Narciso was instantly placed on the global fashion map and started his eponymous label in 1997. Narciso won the CFDA Best Designer of the year Award in 2004 and 2005 and was given the Lifetime Achievement Award by the CFDA in 2018. Clients who adore Narciso include Michelle Obama along with Claire Danes, Sarah Jessica Parker and Julianna Margulies-I was a bit surprised none of these celebrities made an appearance. Regardless, there were countless lovelies who streamed through the Lincoln Center red carpet in magnificent and colorful designs. 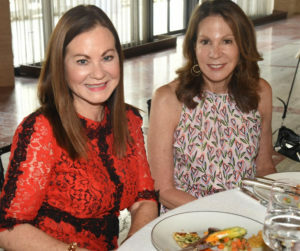 It was a “Welcome Back to Fall Party” for those who have spent an arduous summer in St. Tropez and the Hamptons vacationing on their yachts and summer beach houses. As I surveyed the crowd I spotted socialites and philanthropists: Audrey Gruss, Somers Farkas, Judy Giuliani, Glenda Bailey, Stephanie March, Julie Macklowe, Margo Langenberg, Maria Fishel, Paola Bacchini, Martha Stewart, Fe Fendi, Liz Peek, Jamee Gregory, Fe Fendi, Olivia Palermo, and hundreds of others-this was no surprise as tickets started at $1,500. Jessica Seinfeld, wife of Jerry, introduced Narciso by calling him part of her family and remarking that he was one of the first people to introduce her to fashion more than twenty years ago. She called his designs stunning and sleek armor that give women confidence to be seen and heard with an elegant simplicity that avoided “trends”. Narciso, Seinfeld remarked, did not design to be seen on the red carpet but was committed to craftsmanship and artistry. Narciso tearfully accepted his award as he thanked his immigrant parents who had worked hard so that he could succeed. He also reminisced about his beginnings as a fashion student at Parsons where Calvin Klein and Donna Karan served as tremendous inspirations. He received his award to plaudits from the crowd and Co-Chair Jean Shafiroff praised him as a kind and gentle soul who had admiringly adopted two children. At 2 PM guests headed home to prepare for an exciting and reinvigorated Fashion Week.